Remember the days when the milkman made home deliveries from local dairies - a time when dairy farms were big enough to bottle and sell their milk in local stores? Cabarrus County has been home to a surprisingly large number of dairies, including Cabarrus Creamery, Sunrise, H.B. Troutman, Pure Milk Products, Dixie, Russell, J.C. Misenheimer, Crest Ridge, Boxwood Manor, Rose Hill Guernsey, Cold Water Farm, Cedar Grove and Clear Springs Farm. 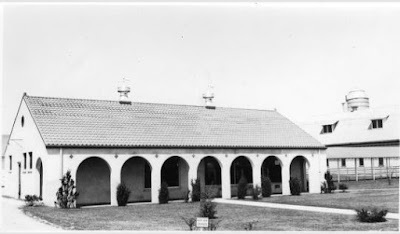 There also was York’s Goat Milk Dairy in Concord and Jackson Training School once had its own dairy. Someone recently requested information about Clear Springs Dairy Farm. He was from out-of-state but knew his grandfather had worked there. You may see the name Clear Springs near the S & D coffee plant on Highway 29 (Concord Parkway South): there is a Clear Springs Plaza shopping center across the street. Many of you may remember the dairy once owned by A. L. Brown, but for those of you who don’t, following is a brief history of the 550 acre Clear Springs Farm which was once located at the current home of the Cabarrus Country Club golf course between Highway 29 and Weddington Road. Alfred Luther “A. L.” Brown spent most of his life connected to Cannon Mills in Kannapolis. He was known to be a major factor in the success and growth of the small manufacturing plant that began in the late 1880's to the formidable textile company of the 1950's. 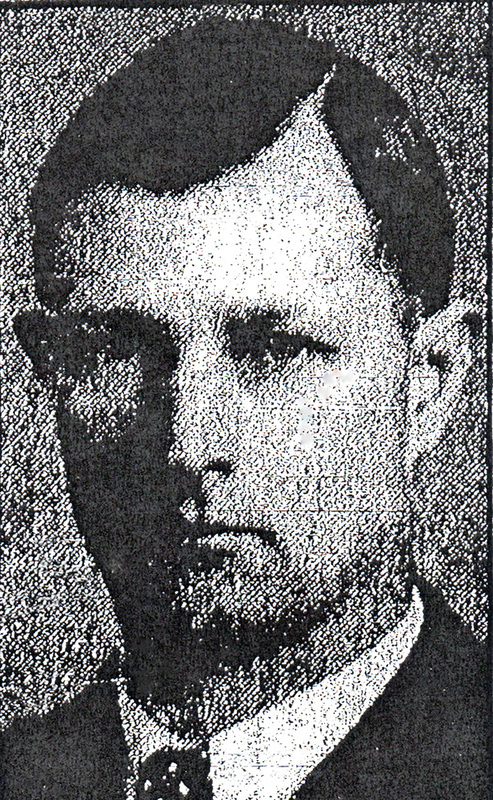 Brown was the vice president in charge of operations of more than a dozen plants. In appreciation of his service to the community, the city of Kannapolis gave the local high school his name in 1951. According to a November 11, 1935 article in the Greensboro Daily News, what started as a hobby for A. L. Brown developed into a big enterprise. About 1930 he became interested in Guernseys and began building a herd. As he and his advisors toured breeding farms and dairies in North Carolina and surrounding states, he was inspired to build a model dairy. Clear Springs Farm milk bottle. His model became the first fully automated dairy in Cabarrus County. When it opened in late 1935, hundreds visited to see the cows milked in their glass-enclosed parlor without the touch of a human hand. A gangway connected the dairy plant to a 130 ft. x 34 ft. dairy barn and adjoining calf barn. The farm grew its own lespedeza hay and other feed and stored it onsite in silos. Starting with forty-nine head of cattle, including calves and bulls, cows were mechanically disinfected and milked three times a day. The milking stalls were equipped with individual, automatic water fountains. Below the barn was a free running spring from which the farm got its name. All the drinking water came from this spring while a deep well supplied water for washing. Meticulous records were kept on milk production and the health of the cows. Using the most modern equipment available, milk would flow directly into containers and then to stainless steel tanks for cooling. After each milking, the cows were washed down and the equipment washed and sterilized. Great care was made to ensure the whole process from milking through the automated bottling was sterile, efficient, and untouched. In a room adjoining the refrigerator room, ice was manufactured in 100-pound cakes and then packed into trucks which delivered products to patrons’ homes in Concord and Kannapolis. A. L. Brown also wanted the dairy to be attractive. The Spanish influenced processing building had huge archways designed to give full effect to the glass-enclosed milking and bottling rooms. Concrete walkways were landscaped with shrubs and grass, and the surrounding drives were laid out in a formal style. G. H. Cartner managed Clear Springs Farm. He grew up on in rural Mocksville and was a graduate of North Carolina State University. Cabarrus County extension service agent Roy D. Goodman (see blog Friday, January 15, 2016) was a constant advisor and assisted with the purchase and breeding of the Guernseys. A. L. Brown, G. H. Cartner and their staff built Clear Springs Farm into a model dairy that not only inspired other farmers, but proved to be a profitable, award winning, business. Clear Springs Farm discontinued operation after A. L. Brown’s untimely death from an auto accident on the grounds of Cannon Mills in 1955. About 1957, the dairy became a division of Carolina Dairy. In 1965, construction of the Cabarrus Country Club’s golf course began on 300 acres of the farm. “Dairy In Cabarrus County Is One of Finest In South,” Greensboro Daily News, November 11, 1935, p. 9. “Clear Springs Dairy Farm Held As Model In Industry,” Greensboro Daily News, July 13, 1936, p. 9. “Shelby Firm Buys Property,” The Daily Independent (Kannapolis, NC), Sept 21 1965, p1. was first used for the 1890 census. 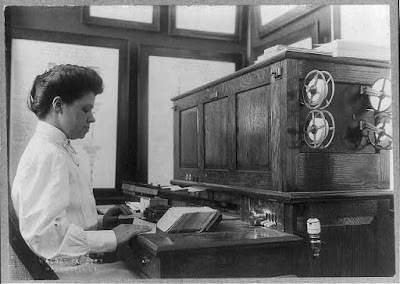 Photo courtesy of the Library of Congress. A recent posting on the blog site Family History Daily (www.familyhistorydaily.com) was a story about how the 1890 Census of Union Veterans and Widows of the Civil War can assist genealogy research as a substitute for the 1890 U. S. Federal Census. As many know, the 1890 census, which contained more than 60 million individuals, was destroyed in a fire in 1921. The special enumeration of Union (and some Confederate) veterans is very large, and 90,000+ images are offered on a number of subscription sites, and for free at www.familysearch.org. Although much of it survived the fire, unfortunately, the records for the states of Alabama through Kansas (alphabetically) are mostly lost, Records remain from all states from Kentucky through Wyoming. Finding an ancestor means access to that veteran’s name (or widow’s name and her deceased husband’s name), rank, date of enlistment, date of discharge, address, disability incurred by the veteran, special notes and more. The Pension Office requested the special enumeration to help Union veterans locate comrades to testify in pension claims and to determine the number of survivors and widows for pension legislation. Some congressmen also thought it scientifically useful to know the effect of various types of military service upon veterans' longevity. To assist in the enumeration, the Pension Office prepared a list of veterans' names and addresses from their files and from available military records held by the War Department. The superintendent of the census planned to print in volumes the veterans information (name, rank, length of service, and post office address) compiled from the 1890 enumeration and place copies with libraries and veterans organizations so individuals could more easily locate their fellow veterans. "He has been living here since 1865, and says the reason for his coming back here is that he fell in love with a Southern girl while here fighting, and came back here for her and she made him stay." 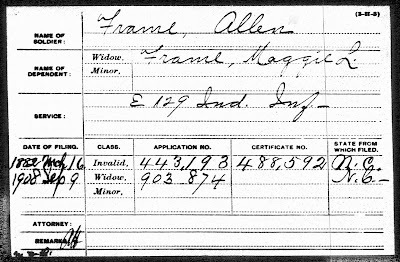 U.S., Civil War Pension Index file for Allen Frame, www.Ancestry.com. Original data: National Archives and Records Administration. After securing employment with a Dr. Scott, Allen and Margaret were married on March 29, 1866. The couple purchased a farm in No. 3 Township (Odell), part of the old John Bradford plantation, where they raised cotton. Because of his war injuries, Allen was awarded a generous government pension. Sadly, Margaret died while still young and their only son, Willie, died in 1893 at the age of 23. Willie left a wife and 10-day-old son, William Robert Frame. After Willie's death, Allen sold the farm and moved to a home on McGill Ave. in Concord. There he found work at a mill. On May 16, 1907, he married Margaret Simpson. Although a native Yankee, Allen Frame was well respected in the community and known for his kindness and generosity. A Concord paper even described him as a soldier who had "fought bravely and honestly." One story told that when work began to slacken at one of the various mills of the city, Mr. Frame had a job that was paying $6 per week. He also had a neighbor who lost his job at the same wages, and in order that the neighbor might not be long idle, Mr. Frame gave his job to his neighbor, stating at the time that his $30 per month from the government would be sufficient to keep him. 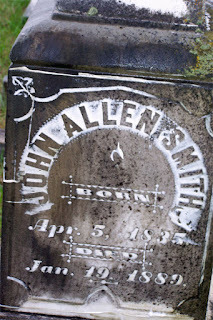 Allen Frame suffered a stroke on July 16, 1908. Without hope of recovery, he died at his home on July 20. You may be surprised who you find in the 1890 Census of Union Veterans and Widows of the Civil War - even an old Union soldier who found family and friends in Cabarrus County. "United States Census of Union Veterans and Widows of the Civil War, 1890," A F Frame. Roy Durant is credited with bringing lespedeza to Cabarrus County. Photo: "Yes, a fine crop of barley and vetch," Cabarrus County, NC, c. 1929. 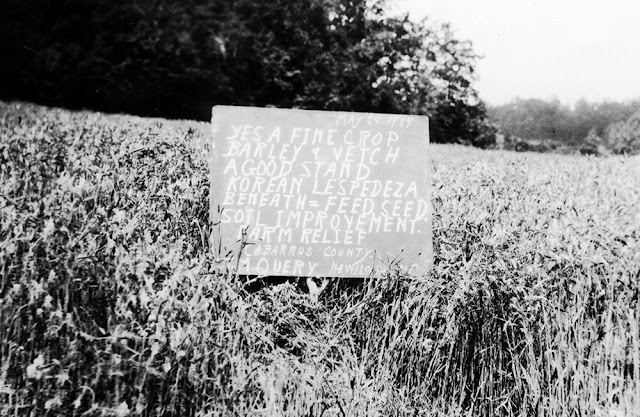 Courtesy of NC Cooperative Extension Service, NCSU, University Archives Photographs. As a demonstration agent for the North Carolina Cooperative Extension, Roy Durant Goodman spent his career as an important adviser to Cabarrus County's farming community. Tasked with promoting food safety, market cooperatives and new developments in planting, farming techniques and equipment, Roy not only provided a valuable service to area farmers, but became known as a trusted and competent consultant and friend. The roots of the Cooperative Extension go back to the agricultural clubs and societies which sprang up after the American Revolution in the early 1800s. In 1914, Congress passed The Smith Lever Act, establishing the U. S. Department of Agriculture's partnership with land-grant universities to address rural agricultural issues. At the time, more than 50 percent of the U.S. population lived in rural areas, and 30 percent of the workforce was engaged in farming. The Smith Lever Act helped make possible the American agricultural revolution, dramatically increasing food production and economic development. In North Carolina, the Cooperative Extension is a project of North Carolina State University, formerly known as North Carolina State College. Programs developed at the campus are delivered to people through centers across the state. Agents act as a bridge between specialists at the university and local residents. 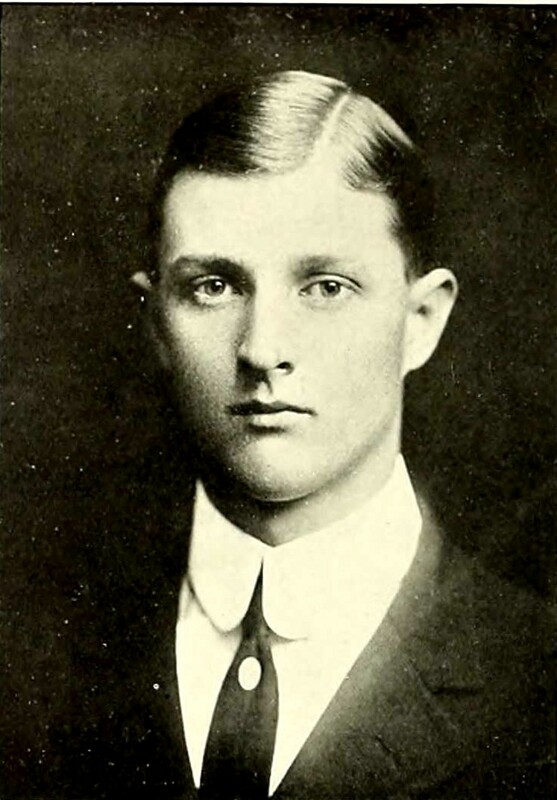 Born in Cabarrus County on 14 Jan 1889, Roy was the third child of Caleb Jackson Goodman and Laura J. Litaker Goodman. A sister, Lottie Belle, and a brother, Charley, died in early childhood. Another sister, Annie, died as a young woman. Two other brothers, Fred G. Goodman and Hugh J. Goodman, were prominent farmers in the Winecoff community. There were also four Goodman half-sisters: Gladys, Hazel, Louise and Marie. Paternal grandparents were Franklin Stafford Goodman and Mary Suther, and maternal grandparents were Ephraim Litaker and Margaret Winecoff. Both grandfathers were Civil War veterans. Farm-bred and interested in farming since early boyhood, Roy attended North Carolina State College. He majored in animal husbandry and graduated in 1913 with a degree in agriculture, and in 1930 received a master's degree. In 1914, Roy began his duties as a farm demonstration agent for Cabarrus County at a desk located in the corner of the court house grand jury room. In 1923, he moved to an office in the new county building where he oversaw the growing program and staff. As owner of Woodside Farm, he spoke to farmers from the standpoint of both experience and knowledge. Roy served Cabarrus County during the World Wars and throughout the Great Depression. His emphasis was on farm management for individual farmers. His staff of extension home economists taught farm women — who traditionally maintained the household — good nutrition, surplus food canning, gardening, home poultry production, home nursing, furniture refinishing, and sewing — skills that helped many farm families survive the years of economic depression and drought. Also taught were youth development programs such as 4-H. Respected throughout the community, Roy's efforts helped people gain practical knowledge. When the farm department of the Jackson Training School faced a shortage of corn silage for the two 100-ton silos on the farm, Roy advised the farm superintendent, Lee White, to plant a particular variety of sorghum as well as corn. The result was a growth of two to three times the amount of silage. He is credited with helping to develop Guernsey dairy herds in the county, modern milking methods and introducing Korean lespedeza, also known as bush clover, as a drought-resistant plant useful for pasture, hay and soil improvement. Roy and cooperation farmers also invented a bull-tongue plow to better work the lespedeza. Roy Goodman was married twice. His first marriage was on 14 Jan 1914 to Mary Ola Johnson, daughter of Victor and Tina Johnson. They had two sons: Ray Jackson Goodman and Victor Johnson Goodman. Sadly, Mary died during the influenza epidemic of 1918. Roy's second marriage on 15 Jun 1921 was to Sophia Moose, daughter of Giles M. and Rosa C. Moose. Roy and Sophia had three more children: Carey, Earl and Ruth Goodman. Roy Goodman died on 5 Oct 1978. He and Sophia are buried at Mount Olivet United Methodist Church Cemetery in Concord. North Carolina State University, The Agromeck 1913 Yearbook, (Raleigh, NC), digital image, U.S., School Yearbooks, 1880-2012, Ancestry.com (http://goo.gl/R0PG3X), p 36, 1913. Kidd, Mary Frix, "Minute Biography: Roy Durant Goodman," Concord Tribune, 17 Dec 1939, p. 8. "Cane for Silage," Charlotte Observer, 26 Nov 1934, p. 13. "Cabarrus Farmers Invent Tools: Cabarrus Bull-Tongue Plow," Charlotte Observer, 14 Nov 1932, p. 11. 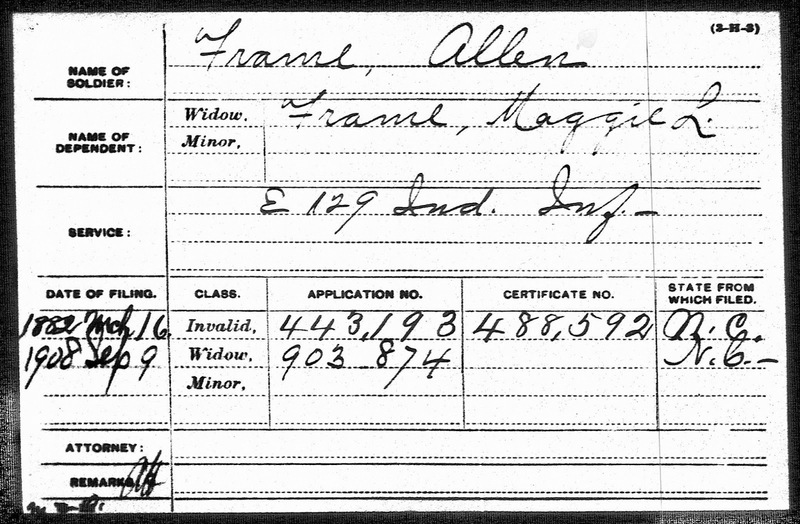 North Carolina, Death Certificates, 1909-1976, digital image, Ancestry.com (http://goo.gl/bfmVbb), entry for Caleb Jackson Goodman.